Show off your trusty bags. Anyone want to show off their bags. Thanks. 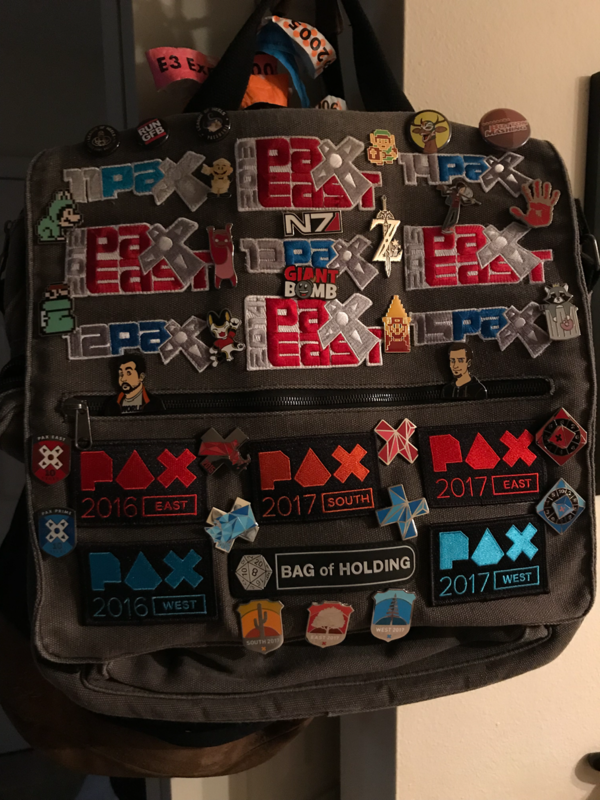 Since I've now run out of room, I currently have the 2018 patches safety pinned to the shoulder strap. I love the Duder love going on. I'm still deciding which bag to take... practical tactical bag from Eddie Bauer or my Dragonball Z bag which, while looks awesome, isn't that great for all day hauling..